Criminal Minds: Showrunner Erica Messer asked me to post this note. Thank you so much for the love and support and the creativity of that amazing cake. It was so pretty nobody wanted to cut it but… we did and it was delicious! We're working hard to make season seven the best yet. With your support -- and generous supply of sugar -- how could we go wrong? Criminal Minds: I've started listing new auction items for the benefit of the American Cancer Society. 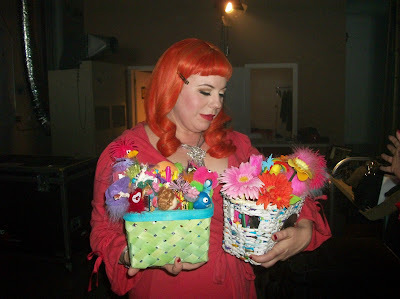 More items will be listed every few days thanks to the generosity of the cast, crew and writers of Criminal Minds. Criminal Minds: After the presentation last week of the birthday cake for Thomas Gibson, Kirsten Vangsness and A.J. 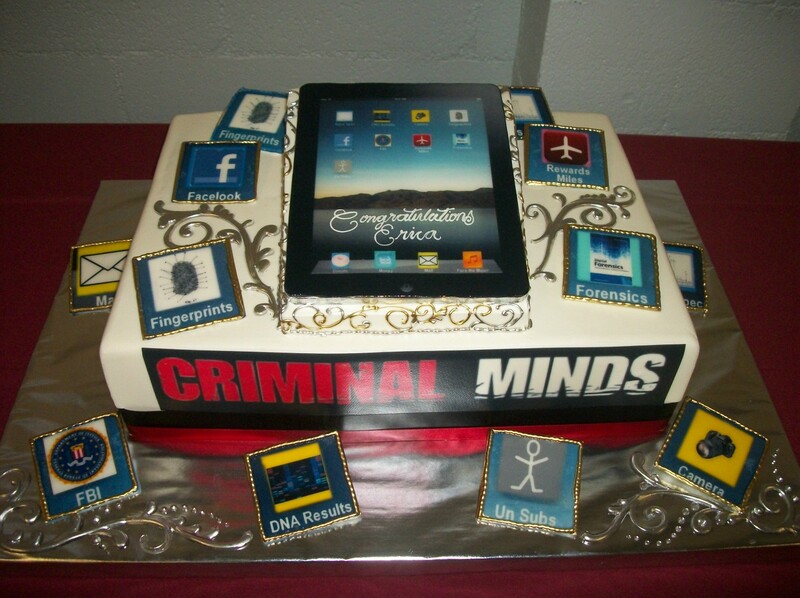 Cook we presented a cake to Erica Messer congratulating her on becoming the new showrunner for Criminal Minds. 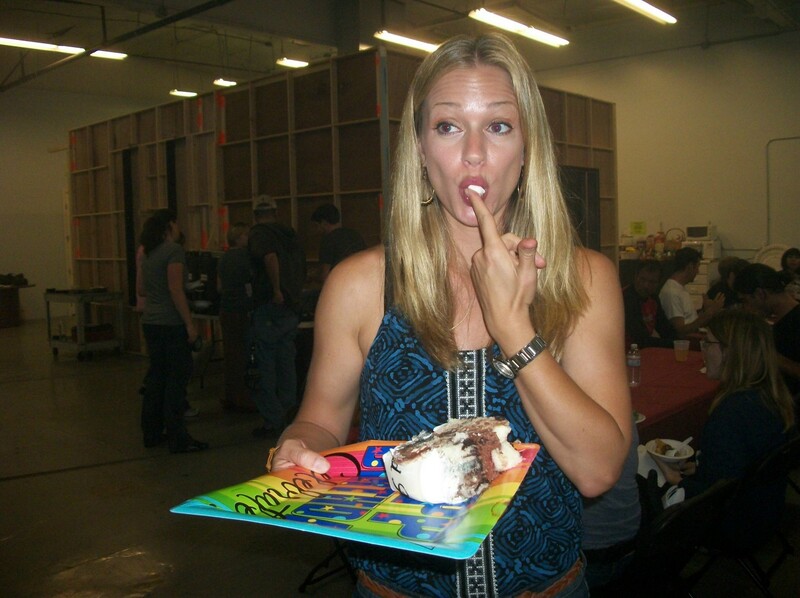 The birthday cake was enjoyed on the set of the movie Kirsten is shooting (much more about the movie later)and then the Ipad cake was loaded in Erica's van for transport back to the studio so the crew and writers could enjoy it. Thank you all so much for the birthday card and the incredible cake! Such a lovely surprise. 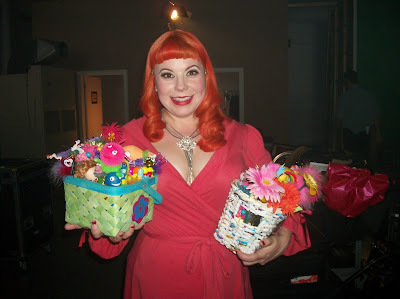 I'm thrilled to be back on the show with my fellow cast mates. We're working really hard to bring you some excellent episodes this year. CRIMINAL MINDS: PENS FOR "GARCIA"
Criminal Minds: This is the third time we've collected pens for "Garcia" and I think everyone really outdid themselves. Pens for "Garcia" arrived from all over the globe. Susan purchased two beautiful baskets to present them in and Kirsten loved them. Remember to watch each Criminal Minds season seven episode very carefully to try to spot your pen. 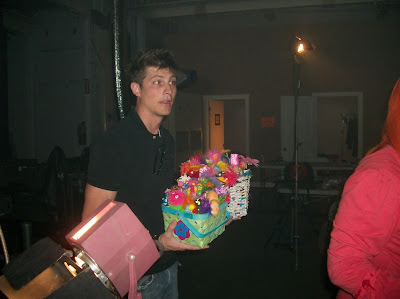 Thanks to Jace Sparks, pictured holding the baskets, for all his help. Criminal Minds: We celebrated Thomas and Kirsten's belated birthdays and AJ's upcoming birthday in LA a few days ago. The bakery did a great job making the cake and they all really appreciated the fans acknowledging their birthdays. Fun was had by all. 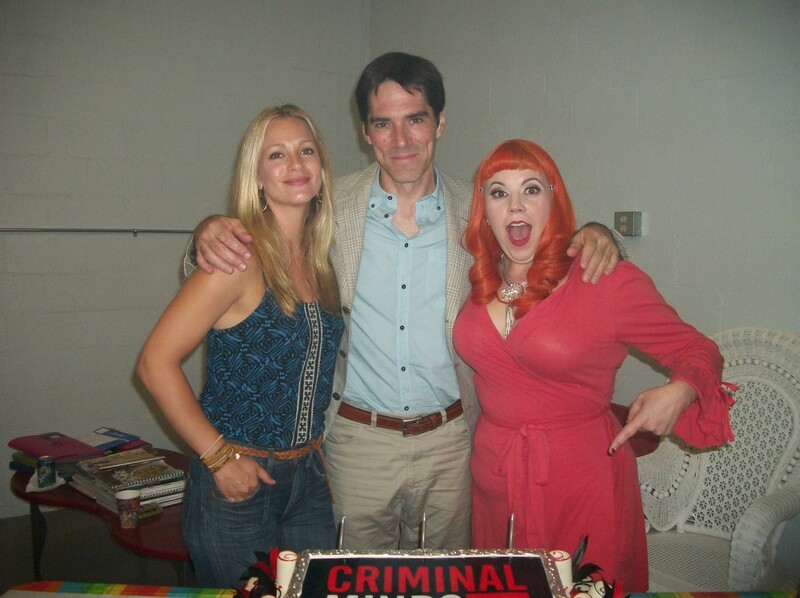 Our Criminal Minds actors are as sweet as the cake was! 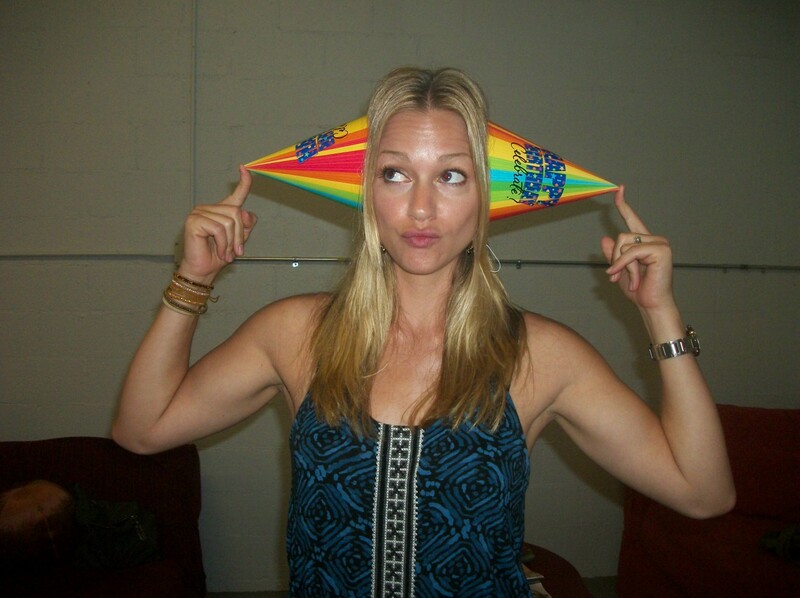 Criminal Minds: A.J. 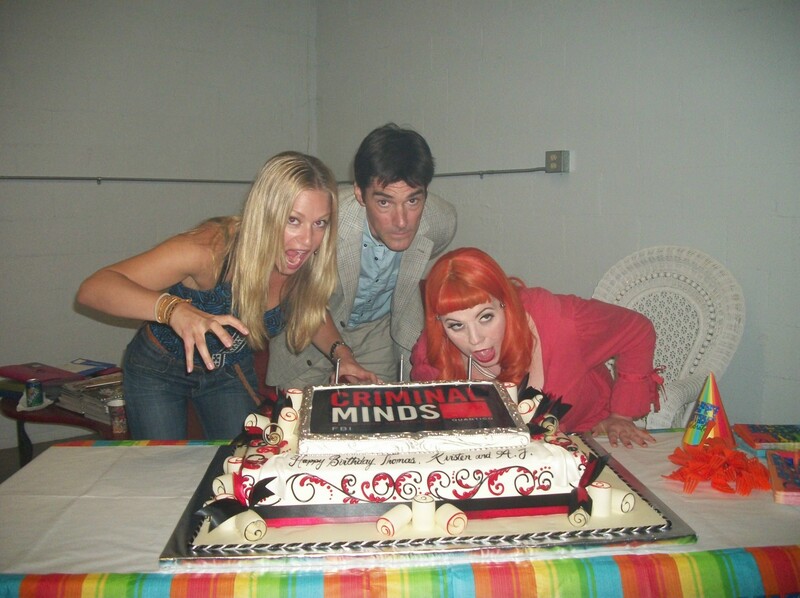 Cook, pictured on the set of Criminal Minds, is celebrating her birthday on Friday, July 22nd. 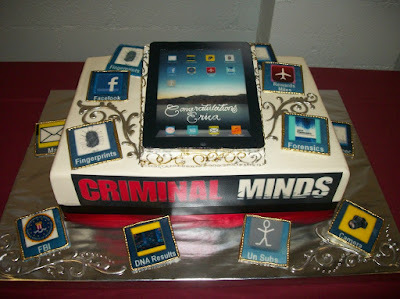 Please join the Criminal Minds Fanatic moderators in wishing A.J. a very Happy Birthday!! Criminal Minds showrunner Erica Messer with actresses A.J. 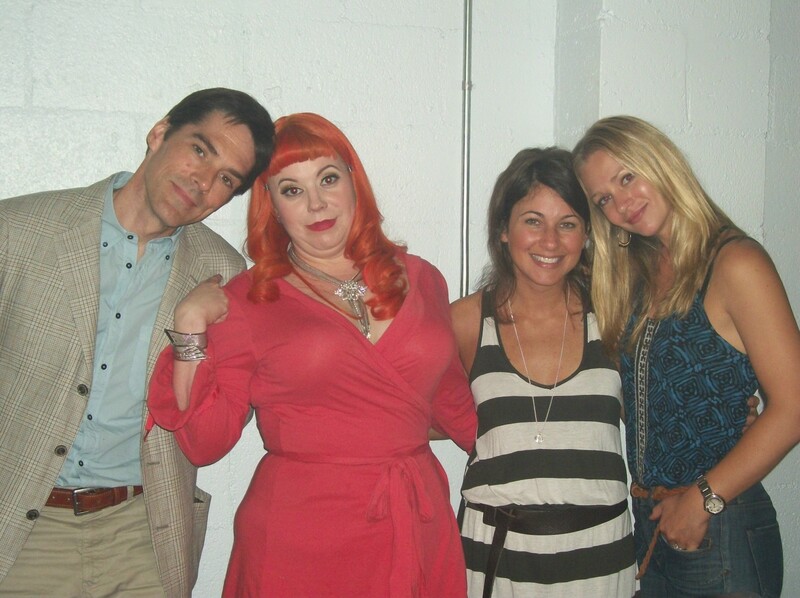 Cook and Kirsten Vangsness on the set of Criminal Minds. Criminal Minds showrunner Erica Messer and Director Glenn Kershaw on location for Criminal Minds episode 7x1 "It Takes A Village." 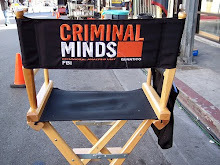 Criminal Minds: Back at work and making magic! 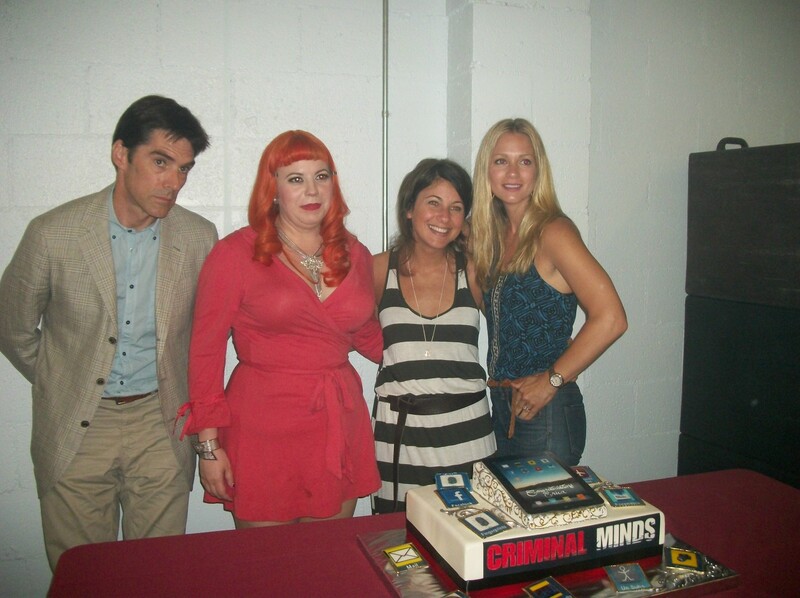 Criminal Minds stars Joe Mantegna, Thomas Gibson, Paget Brewster, Shemar Moore, A.J. 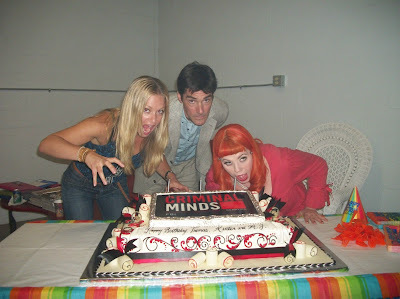 Cook, Matthew Gray Gubler and Kirsten Vangsness. 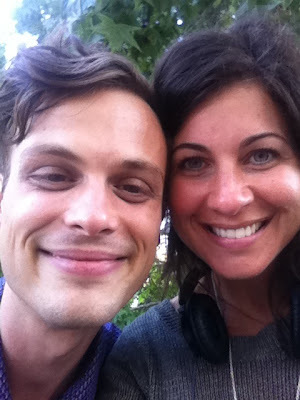 Criminal Minds: Matthew Gray Gubler, Dr. Spencer Reid on Criminal Minds, with showrunner Erica Messer on the set of Criminal Minds during the filming of the season seven premiere, It Takes A Village. Criminal Minds: A.J. Cook and showrunner Erica Messer on the set of Criminal Minds today. Welcome home A.J. We LOVE YOU! 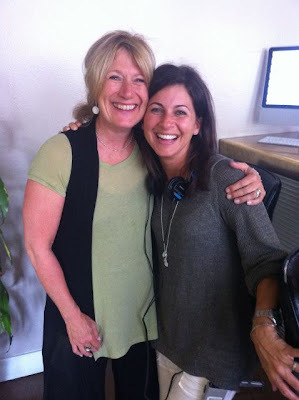 Criminal Minds: Showrunner Erica Messer and Jayne Atkinson who portrays Erin Strauss on the set of Criminal Minds. Courtesy of Criminal Minds Set Report. 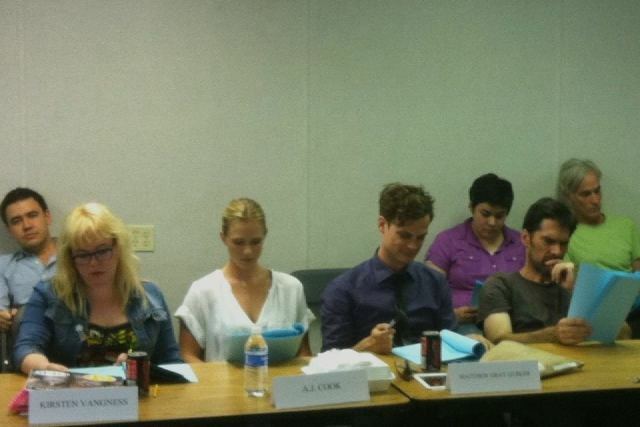 CRIMINAL MINDS SEASON SEVEN TABLE READ. 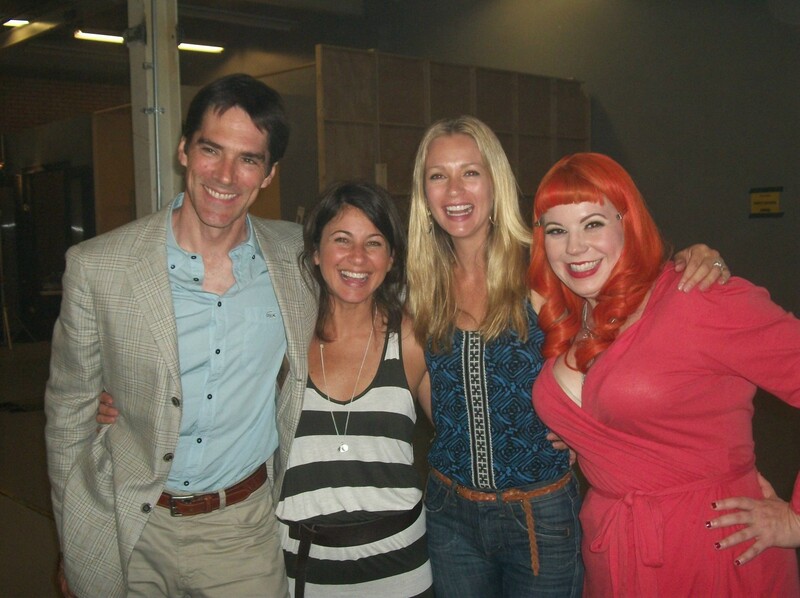 Criminal Minds: Table read for Season seven episode one! Pictures courtesy of CM Set Report. 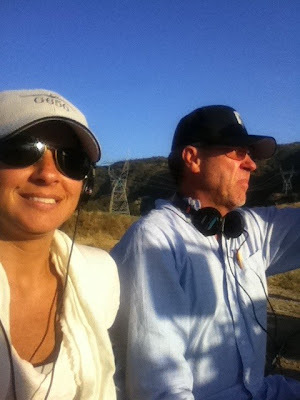 Criminal Minds: Showrunner Erica Messer and Joe Mangegna on the set of Criminal Minds. Welcome back to our wonderful cast. Season seven is going to be awesome! CRIMINAL MINDS: SEASON SEVEN PRODUCTION STARTS! 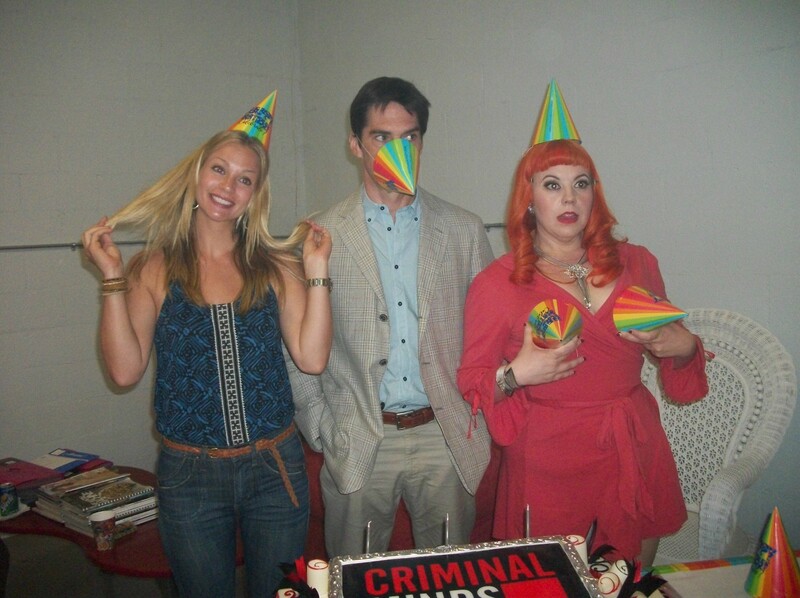 Criminal Minds started production for season seven today. Pictured on the set of Criminal Minds today are showrunner Erica Messer and Shemar Moore. IT IS GOING TO BE A FANTASTIC SEASON! Criminal Minds: Kirsten Vangsness, pictured on the set of Criminal Minds, is celebrating her birthday on Thursday, July 7th. 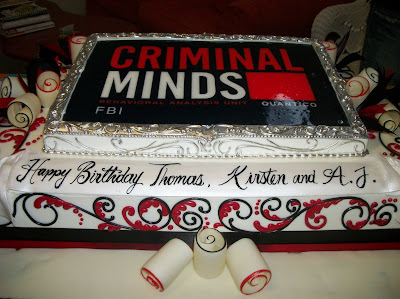 Please join the Criminal Minds Fanatic moderators in wishing Kirsten a very Happy Birthday!! 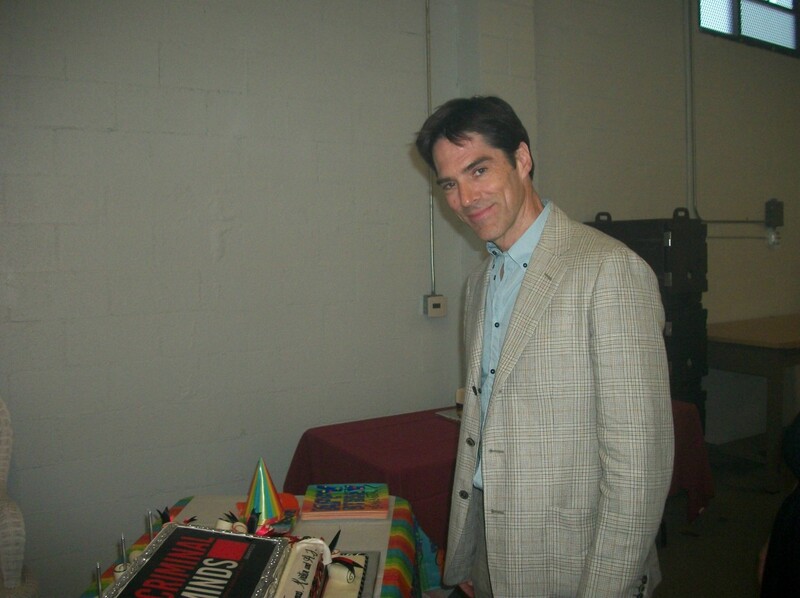 Criminal Minds: Thomas Gibson, pictured on the set of Criminal Minds, is celebrating his birthday on Sunday, July 3rd. 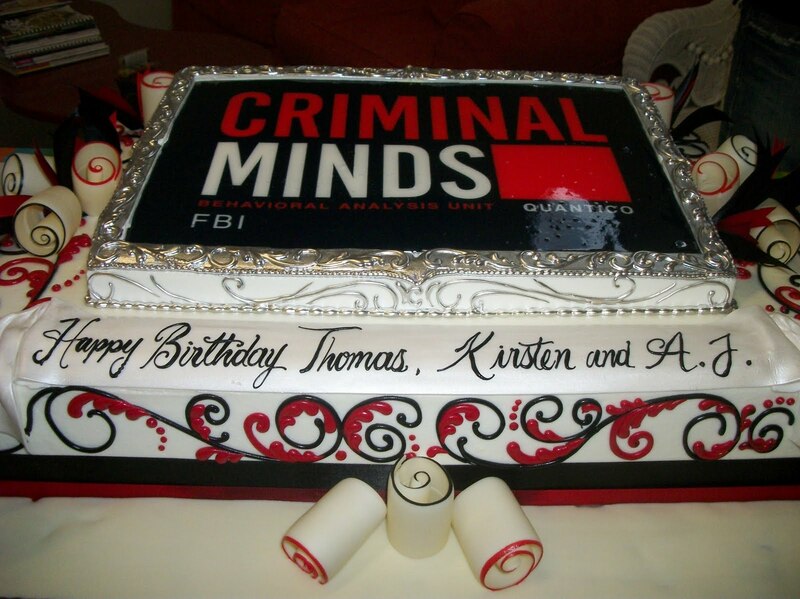 Please join the Criminal Minds Fanatic moderators in wishing Thomas a very Happy Birthday! !